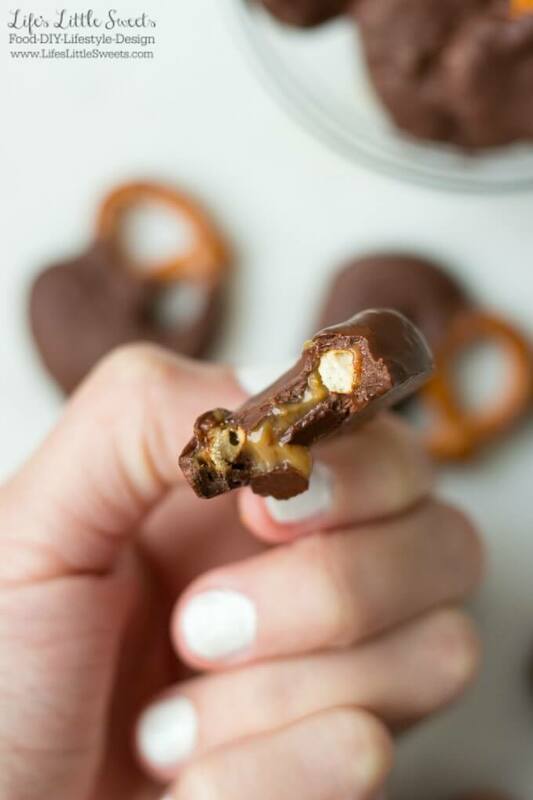 When you need a salty and sweet snack to satisfy your chocolate craving, these Chocolate Caramel Dipped Pretzels are perfect! 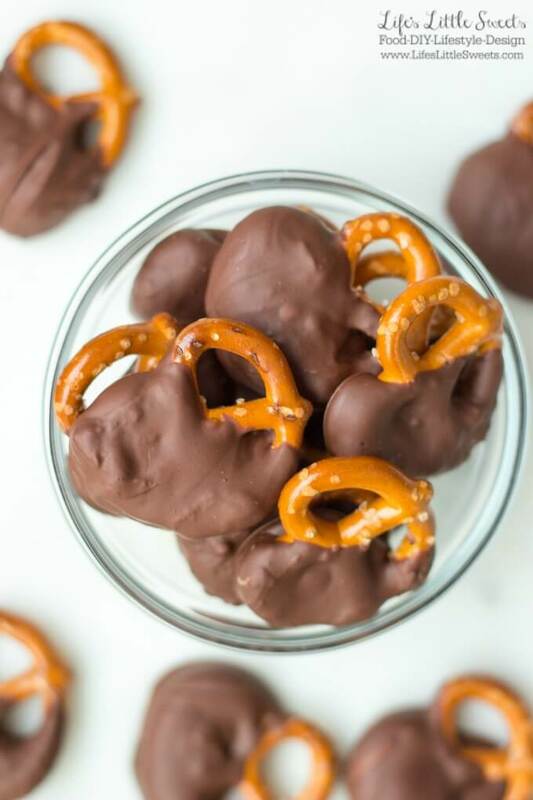 You can make a few at a time or use a whole bag of mini pretzels for a big batch which would be great for entertaining or game day. I use my 1-ingredient, Easy Caramel (Dulce de Leche) recipe for the caramel dipping sauce in this recipe. 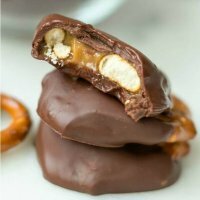 Alternately, you can melt candy caramels in the microwave but I haven’t tried that method. 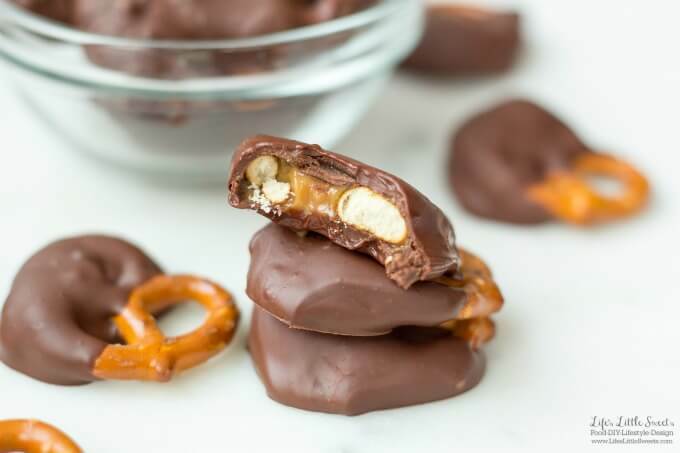 I love how the caramel inside the Chocolate Caramel Dipped Pretzels is soft when you bite into is using the Easy Caramel recipe. 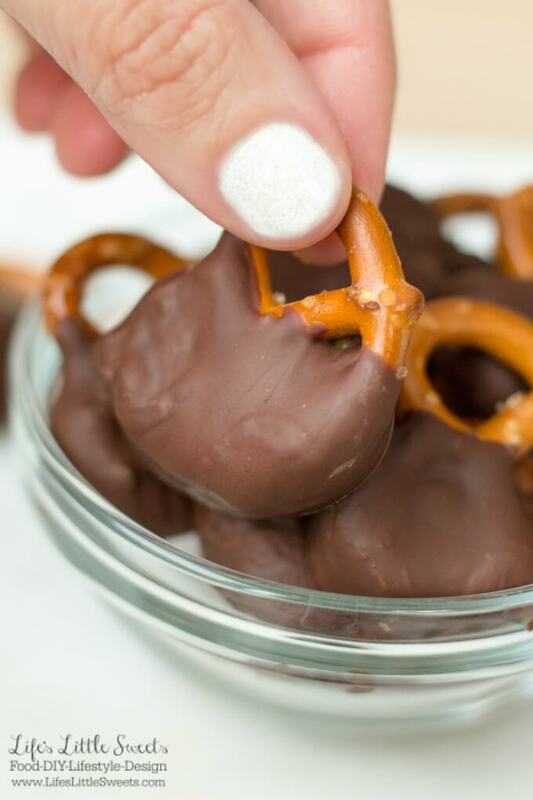 Who can resist a bowl of these Chocolate Caramel Dipped Pretzels? I can’t, I eat them all within a day when I make them! 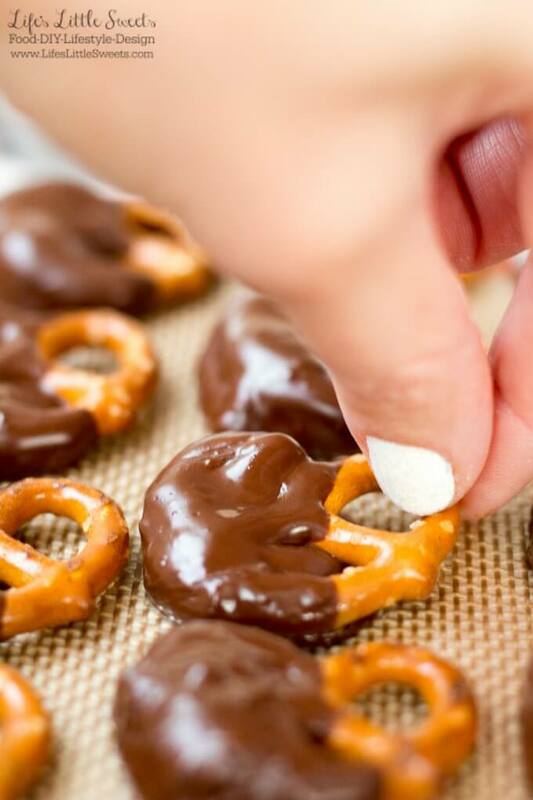 I hope you enjoy these Chocolate Caramel Dipped Pretzels! 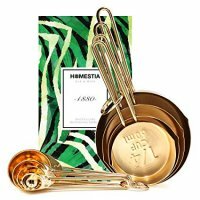 Melt the chocolate morsels in 30 second intervals in the microwave, stirring in between each interval. 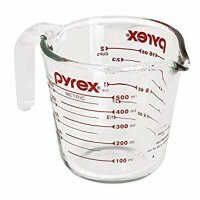 For my microwave this takes about 3 times. Heat up the already made Easy Caramel in the microwave, just enough so it's easy to stir. 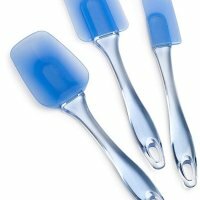 For me 2, 30-second intervals (stirring in between) works. 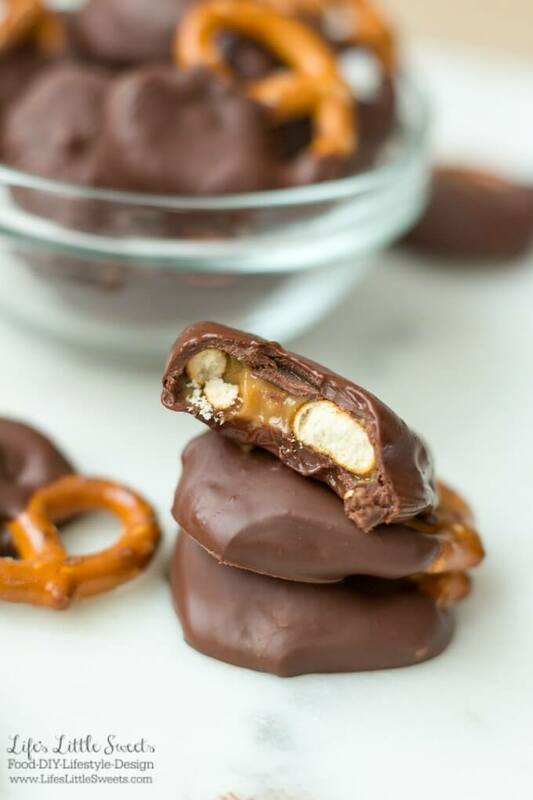 The chocolate should be more liquid-y than the caramel, so the chocolate will coat the caramel well. 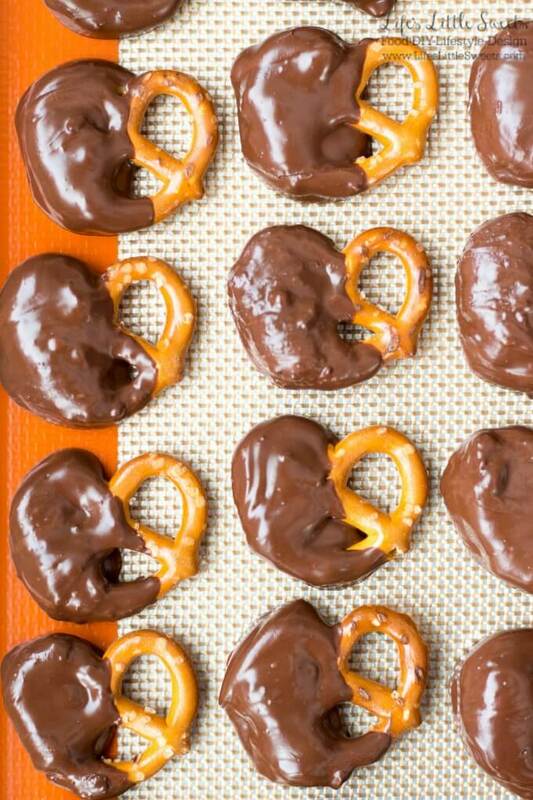 Holding each mini pretzel, dip in the caramel partway and then dip in the warm chocolate. 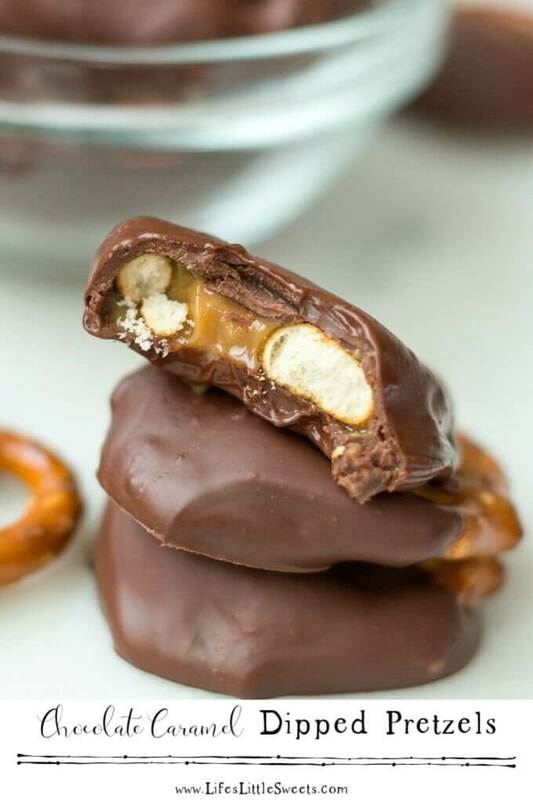 Make sure the caramel is completely covered. 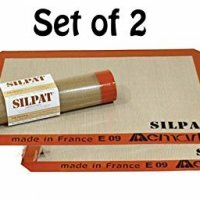 Place each one on a wax/parchment/silicone baking mat-lined cookie sheet. Refrigerate for 10-15 minutes to allow the chocolate to harden. 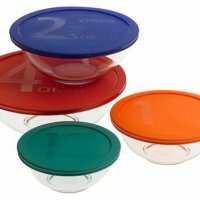 Store in an air-tight container so the pretzels will no stale. I store these in the refrigerator. I recommend consuming them within a day. Enjoy! 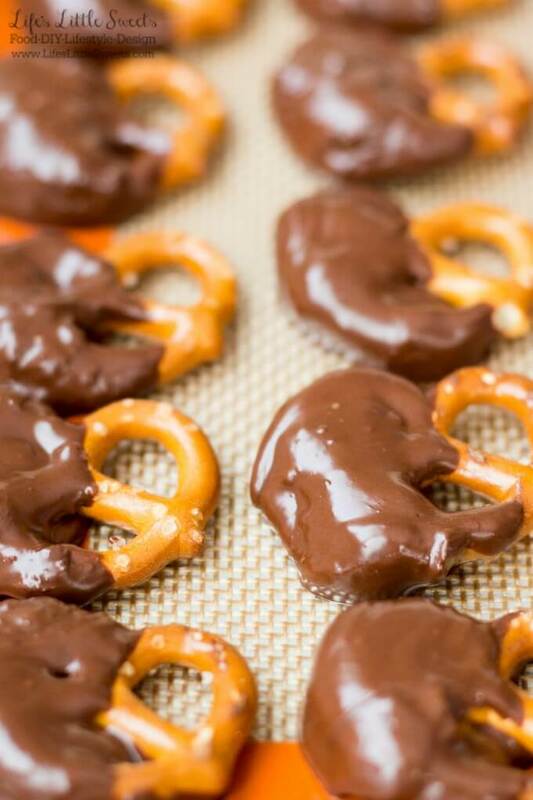 If you like this Chocolate Caramel Dipped Pretzels recipe, Check out our all of our Candy, Chocolate and Desserts Categories on Life’s Little Sweets. These could honestly have an alternative title of “Cravings Cure-ers” because seriously, this fixes almost every stomach growl I’ve ever had. Perfect balance of salty and sweet!